"I've been doing abs exercise for a while to get a flat stomach, but nothing seems to work. Every other night, I do 100 bicycle crunches. Then, take a one minute break and repeat this two more times. I also do 80 regular crunches every other night. No matter how much weight I lose, I can't seem to lose any of my belly fat. Can anyone help me?" How would it feel if you could strut your stuff with confidence no matter what you are (or aren't) wearing? You deserve to be happy with your body, to wear whatever you want and know you look great. You want it, but have you ever started an exercise plan all gung ho and excited to get in shape, only to give up or forget about it after a couple weeks, or even just a couple days? 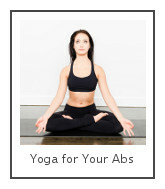 Because you're not using your ABS. Attitude: Health is a mindset. That mindset leads to certain actions. Those actions lead to real, true, amazing health. Attitude is approaching life with that health mindset, so you habitually, automatically, make the choices that make you healthy. Your brain controls what you allow yourself to achieve. It can propel you to the highest heights of glory or doom you to repeating the same actions that got you to where you are today. If you believe that you can reach your fitness goals, your Brain Power will find a way to make that happen. Spirit: I describe Spirit as stick-to-it-iveness, perseverance, persistence, tenacity, stubbornness, courage, determination, and strength of purpose. The slogan "press on" has solved and always will solve the problems of the human race." Combine Attitude and Brain Power, and you get Spirit. When you approach life with a health mindset and believe in yourself, you will persevere with tenacity, stubbornness, courage, and strength of purpose. 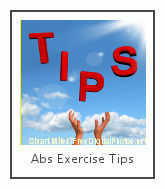 ABS Exercise Advice will give you exercises to strengthen your abdominal muscles and advice to strengthen your ABS. 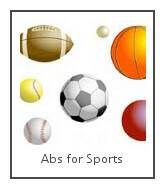 I will help you "Use Your ABS to Get Great Abs." 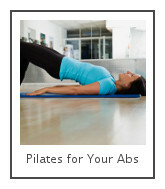 Strengthen and stabilize your core muscles? 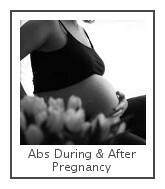 Stay fit while pregnant (and after)? Get a smooth, flat stomach or a ripped, rock-hard six pack? motivation and inspiration to just keep going when all you want to do is give up. You can even ask your own questions and share your own tips, recipes, and success stories. Start by downloading this pdf file of 21 core exercises, so you can have them handy right on your computer. Print them out, and try some next time you work out. 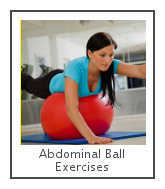 "I just wanted to say that these abdominal exercises have been really great! 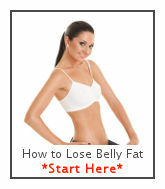 Next, learn How to Lose Belly Fat and keep it off for life. 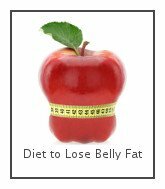 This free report reveals a complete fat burning plan to get real, true, amazing health and the flat stomach that comes with it. Many people like to start with the best ab exercises. Find out which abdominal exercises stimulate your muscles the most and how to do them correctly. Use these exercises to strengthen your stomach muscles as quickly as possible. Save time and energy with these abs exercise tips that will help make your workouts more effective. Try this popular free fitness ball workout. I've made a whole section specifically about abdominal exercise during pregnancy, after, and when recovering from a c-section. 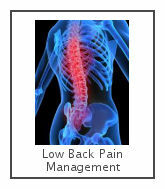 If you suffer from back pain, learn low back pain management strategies to help you get relief from your pain.